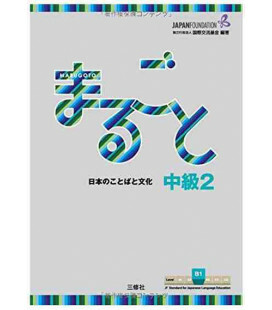 This is the first Rikai (textbook) for the basic level (A2). It is supplementary to Marugoto Katsudoo A2. Marugoto: Japanese Language and Culture is a series of textbooks edited by the Japan Foundation based on the JF Standard for Japanese Language Education. 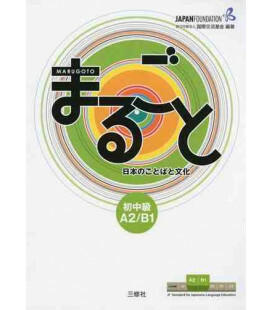 The Marugoto series comprises six levels: A1, A2, B1, B2, C1 and C2. Each method has two books: Rikai and Katsudoo. -Rikai (textbook), also called Rikai: Coursebook for Communicative Language Competences, helps the student acquire characters, vocabulary, grammar structures, sentence patterns and reading comprehension. -Katsudoo (Communication activities), also called Katsudoo: Coursebook for Communicative Language Competences, trains and improves the student's ability to communicate fluently. - is in accordance with common European guidelines. - includes interesting content with coloured illustrations. Using the following link, you can download the audio files for free. Please click on the following link for additional resources of this method.